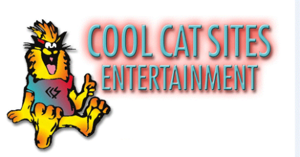 If you are planning an event soon and need party supplies, look no further than Cool Cat Sites Entertainment. We are a reputable company that provides party supply rentals, bounce house rentals, kids’ party rentals and much more. Our facility has a full line of indoor and outdoor party supplies to choose from. Our primary concern is the success of your party. We help you save time and money. Cool Cat Sites Entertainment offers quality inflatable rentals to the residents of Columbus and surrounding communities. We also provide water slides, sumo wrestling suits, cotton candy machines and other children's entertainment products. Apart from that, we have professional clowns and magicians available for your child's party. Feel free to call us at (614) 383-9495 to learn more about our special offers.